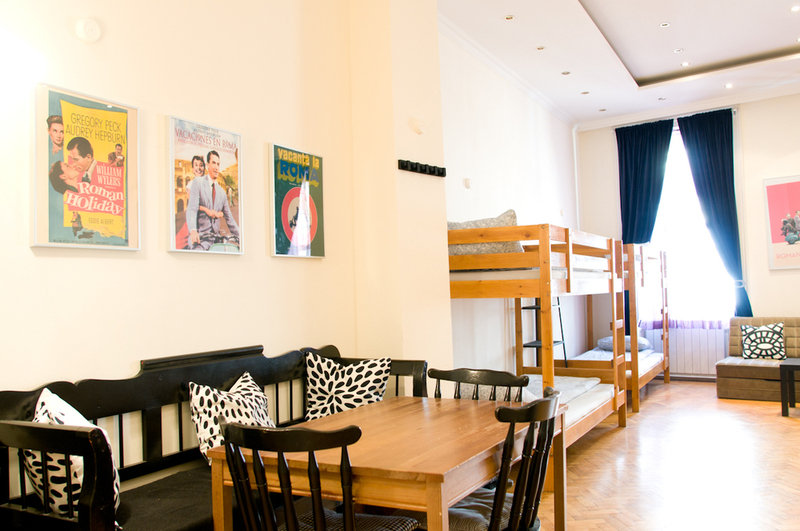 The 11th hour is a friendly hostel operating in a restored two storey classical building located in the heart of Budapest downtown. With a 24 hour reception, movie room, various dorm and private rooms, clean sheets, free wifi and everything else you could want, it will be hard to find something which we do have which a backpacker could need. We specialise in catering to groups big or small. Whether you are organising a trip with friends or a full school/university group we can cater to your needs. We are just moments from all the best bars and clubs in the city, our 24 hour reception can tell you about the best parties or you can join our hostel pub crawl which runs every night.